Mother's Day is just around the corner. If you find your "wish" for this holiday is a new sewing machine, we have all Elna demo machines at GREAT prices. CLICK HERE to see our current models we have in stock. Our EL9600 combo machine is priced to come home with you. Want a long arm quilting machine or sit-down unit? We strive to be the best value in Texas on Handi Quilter Avante and Sweet Sixteen units. Come take a test drive. Machine Quilting Retreat--Team Taught--Jackie Brown and Diann Loper May 1st-3rd. These two award winning quilters are scheduled to teach domestic machine quilting in just a couple of weeks. Both are back by popular demand to teach again! This retreat is open to all levels. Use your sewing machine or long arm sit down units to participate. We have four openings. Sign up deadline is April 20th. Embroidery Machine Basics retreat with Brenda Jeschke May 29th-31st. Open Retreat June 11th-14th. This new opening is designed to give an option for small groups or individuals to join a retreat when they do not have enough ladies for private retreat. 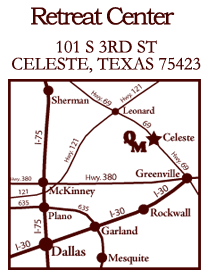 P3 Freezer Paper Starch retreats June 22nd-24th, June 26th-28th, October 16th-18th, & October 19th-21st. These retreats have a waiting list. Send us an e-mail if you would like to be listed to participate if we have cancellations. Embroidery Machine Multi-hooping retreat with Brenda Jeschke July 24th-26th. Open Retreat August 20th-23rd. This new opening is designed to give an option for small groups or individuals to join a retreat when they do not have enough ladies for a private retreat. Paper Piecing (Judy Niemeyer patterns) Eileen Urbanek retreat August 28th-30th. Our website shows project options by skill level. We hope you find one of these retreats will provide the education you are seeking! Send us an e-mail with any questions. 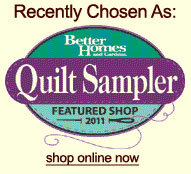 Thanks for your support of our quilt store! Click to visit Quiltagious Quarters!